I’m writing this just after my most recent photoshoot with the lovely Natasha Holland. I am going to answer some of the most commons questions I get asked and about my evolution through photography. How Often Do You Get Your Photos Taken? I have been having photographs done approximately 3-4 times per year. I am working with a (fairly) local photographer, who I have a really great relationship with and we have been committed to evolving the photography during this period. I do change my hair colour an awful lot so it is also about keeping the photos up to date and relevant. It’s also important that we are working with the photography to match the up and coming projects I am working on and my calendar of events over the next couple of months. My photography is absolutely a joint effort between myself and Natasha. We both have creative input into the process. 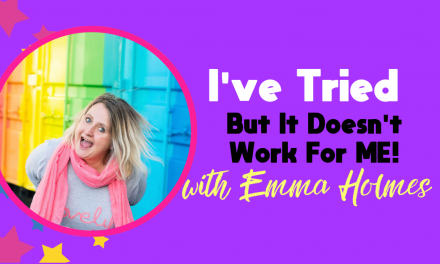 We talk through what we need to make sure we get during each shoot so that we don’t merry off in a direction that results in us not achieving all the right photos we need. Where Do The Ideas Come From? Studio shots ~ these are the shots with plain, blank backgrounds. 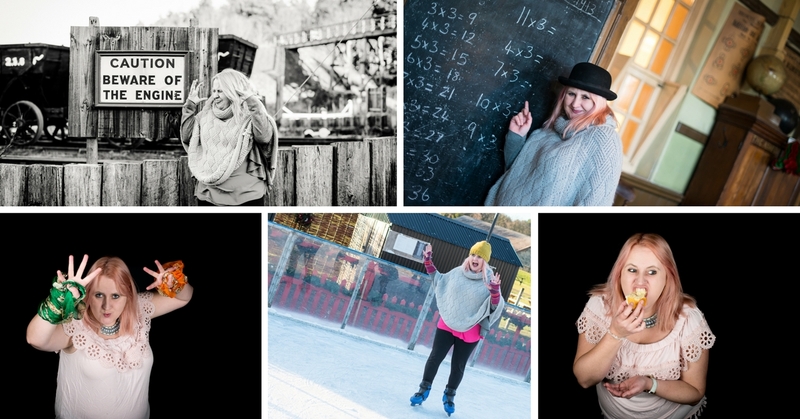 I am going to be using these photographs for a variety of purposes ~ book covers, social media, website, blog posts and other designed promotional materials. These shots are about expression and they are about thinking of the purposes for which they are used. It’s not just about having smiley pictures with your eyes on the camera (the traditional kinda head shot) BUT also looking at funny expressions, exasperation, joy, angst and questioning kinda faces. Think about what you want to use these photos for and write a list of the feelings that you may want to capture within these shots. Location shots ~ I have used a variety of locations for photoshoots. I have a number of shoots in my office, house and garden, local parks, river and local tourist attractions and cities. For me it’s about thinking about unusual places, places with lots of colour and places where the shots will become extremely unique. The main thing to consider is how you are going to use these photos. You will need photographs that have you off centre (with room to the left or right) so that you can add text into those images to use for blog posts or social media posts. You need to consider a variety of emotions that you may wish to depict with your imagery. You need to think about props (which we will cover next). What Props Will I Need? What do you use day to day in your business? This is your first one. For me, I’m thinking coffee cups (obvs very important), computers, my phone, items from my desk, oracle cards etc. Notebooks have a big place in my photography too because they are super important to the day to day running of my business BUT they are also great for writing on. You’ll see the image at the top of this blog has me holding a clipboard, with a blank piece of paper on the top, to which I have added wording ~ great use of a prop. I have also used a microphone (to use in relation to my podcast), headphones (listen in) and mugs. I am super passionate about getting out and about in my local areas. Places that are interesting, have lots of different backdrops and areas that look different. Think about walls that have amazing texture, doorways, backdrops, views. Your location will be dependant on where you live and I think it’s a super way to showcase yourself within your local area too. Urban or rural ~ choose one for one shoot & one for the next shoot or see if you can do both within the day with your photographer. Look at signage that you could use. Think about blank surfaces that you could write things on. Become a bit of a student of the area that you choose and think about what you want to show and depict and how you ultimately want to use them as you are there on location. 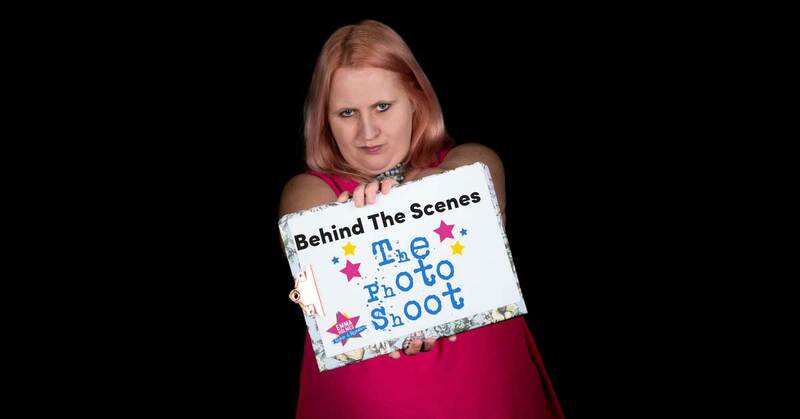 Ok, so me and my photographer are really close now and our shoots are super good fun with stacks of giggles. Like with everything in life it’s about finding the right photographer for you. It’s about forming a relationship with that photographer and not expecting just to rock up and nail the shoot. I would suggest that you chat beforehand. That you get to know one another and that you are clear on what you want to achieve from the shoot. The right photographer will draw you out of yourself and help you to embrace the shoot. I’m really lucky and I get all of the (decent) images from my shoot. My photographer is a legend! I know that sometimes you have to pick a set number of pictures from those that are taken. 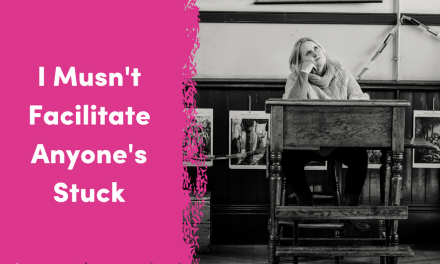 So, I changed the banner picture on my Facebook Page a little while ago – my beautiful graphic designer (Vicki Nicolson – Branding Therapy) send me the first one through and I loved the concept but said – eeehhhh we can’t just that photo, I look so jowly in that one! Too much chinage! Now, you’re going to see it immediately as I’ve pointed it out to you BUT she said that she saw a picture that was full of energy, warm and enigmatic, that it was on brand and lovely. She was right, I wasn’t. She saw what other people saw but all I saw was the chinage! Yes I loved the concept and yes the one you see came from the concept BUT I wouldn’t have comfortably and confidently worked on my Facebook page if I saw all those chins! Lessons? Other people don’t see what you see when it comes to you & your stuff – they don’t see the imperfections (and don’t get me wrong I’m perfectly happy with my imperfections and comfortable totally with who I am). I decided to go with a picture I liked better because it would mean I could keep my energy high on my page. Did it loose me any time – NO. Did it keep me stuck – NO. It’s important that when you are overthinking stuff (like the pictures of you, the stills you use on video posts, your website etc etc etc) that you think about whether you seeking your perfection (or dealing with a little vanity) is going to stop you from serving your crowd. Other people aren’t going to see what you see. I’m here to show up, just as I am, but if I can have less chinage then that’s cool too! Choose your photographs based on getting a variety of images. Think about the purpose of those images and think about getting a mix of emotions shown through the imagery. Will you need to be depicting serious things, fun, frustration, angst, happiness & joy? 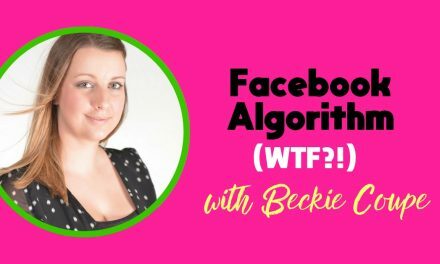 Will you need to update profile pictures and banners on social media? 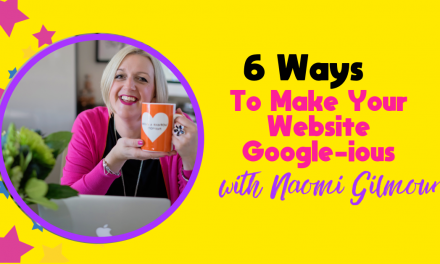 Will you be using them in certain places on your website? Think about their purpose. Get a second opinion (so that you don’t regret them on the groups of chinage). Remember, this imagery isn’t about vanity. 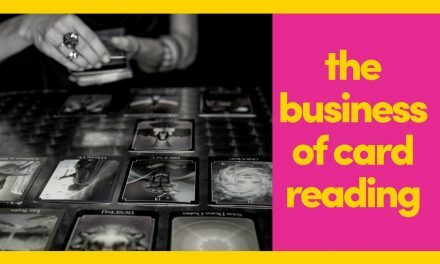 It’s about making a choice on a business asset that you can use over and over again. Enjoy it, it’s fun when you relax into it and if necessary consider it like playing a role. I can turn on the expressions and face pulls but if that comes a little less naturally then it’s just a matter of relaxing into it and practising. Do you run from routines? 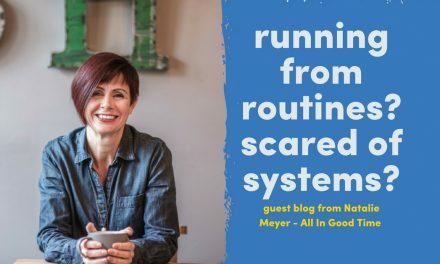 Are you scared of systems? 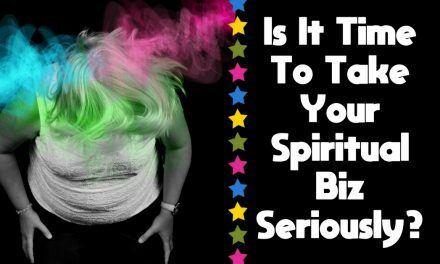 Is It Time To Take Your Spiritual Biz Seriously?